[HollywoodInvestigator.com] The poster implies this is a slasher film. There's that V-staging of young actors, popularized by Scream and copied by umpteen horror filmmakers for some 20 years now. And for those who are unfamiliar with horror film poster history, the title is a further clue -- The Return of the Killer Bride (2014). That title also implies sequel. Which it is. The first film was called The Legend of the Killer Bride (2008). If you're unfamiliar with either film, it might be because neither received much distribution in the U.S. The series hails from South Africa. It's yet to appear on Amazon.com. The killer bride is a ghostly killer seen by Haley (Umi June) during her graduation ceremony. Which is odd, because the slasher in the first film (a male student) has apparently been captured. Either way, Haley and friends visit the summer camp that was the site of the earlier murders and the killer bride legend. There Haley flirts with boys and investigates the legend. 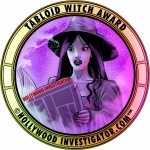 "As a child, I was fascinated yet terrified by ghostly figures," said writer/director Preshanthan Moodley to the Hollywood Investigator. "I was terrified upon seeing a woman dressed all in white. There is something eerily scary about juxtaposing a white dress, and all that it represents, with a demented killer." This childhood memory became Moodley's premise -- a killer in a white dress. Moodley says he gets most of his inspiration "from Wes Craven's work, particularly Nightmare on Elm Street, Scream and The Hills Have Eyes." Yet The Return of the Killer Bride also has a strong Nancy Drew quality. Mostly it's just Haley and her friend wandering about the camp, querying the residents and a nearby fortune teller. Their adventures are surprisingly tame, more young adult suspense than horror. The killings don't really get going until the film's final ten minutes. "The horror suspense genre is still in its infancy in South Africa," said Moodley. "The market is still being developed. I tried to make a hybrid film with both genres [horror and suspense]. It's moments that make you jump out your seat that I think fulfills people's expectations. I favor frights more than gore and violence, which may perhaps fall into the thriller suspense genre." The suspense derives largely from (the often sudden) ghostly manifestations of the killer bride. The visual and make-up effects are impressive, if unoriginal. The bride's look appears inspired by both The Ring (once, she's even seen on a snowy TV screen) and The Grudge (down to the single eye peaking out from behind a tangled mass of hair -- see the below visually enhanced screen shot -- the image is darker in the actual film). The film also benefits from nice photography and professional sound recording (not always true with micro-budget films). But I didn't find The Return of the Killer Bride very suspenseful. 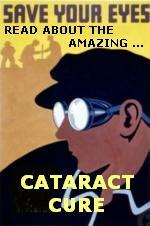 Its story is too tame and slow-paced. Young girls might get goosebumps, but not jaded grindhouse fans. As in many micro-budget efforts, the acting ranges from acceptable to poor. Lead actress Umi June makes for a pretty heroine, but no more. Of course, that's true of a great many slasher actresses. Most Americans probably think of South Africa as a land of blacks and whites, but the nation also has a large ethnic Indian population, as is Moodley and his lead cast. His film offers a peak into modern South African life, which might make it a bit of a curiosity among American horror fans. "The film was shot in a small town on the east coast of South Africa called Richards Bay," said Moodley. "At Imvubu Lodge and Umhambi Lodge, which are great camping lodges along the beach. Imvubu Lodge let us shoot at a low daily fee, while the Umhambi Lodge allowed us to shoot free of charge." Moodley says the budget "was approximately US$ 8,000. Most locations were sponsored. The cast volunteered their time. The only aspects which required financing were equipment, post-production, and marketing. The film was shot on a Sony PMW-EX1 and edited on Adobe Premiere Pro CS6. 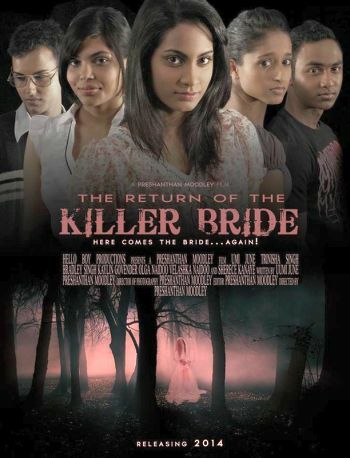 "The Legend of the Killer Bride was released in 2008 by NEXT Video -- now NEXT Entertainment -- in South Africa. It was broadcast internationally on the DSTV cable network. Unfortunately, it did not receive airtime in the U.S."
This might be because Moodley's "features" fall short of feature length. The first Killer Bride film ran at 48 minutes. Her Return is 62 minutes. Moodley did a test screening of the sequel and says that "about 65% of the audience said they didn't feel the length affected their view on the content or how it made them feel. On the contrary, many of them enjoyed the film getting straight to the heart of the story, without wasting screen time on unnecessary deviations. "We have no distribution plans as yet. I have submitted the film to international film festivals, in the hopes of attracting or creating distribution opportunities."